Nicholas Hoult is very proud of girlfriend Jennifer Lawrence's achievements and thinks she "deserves it all." 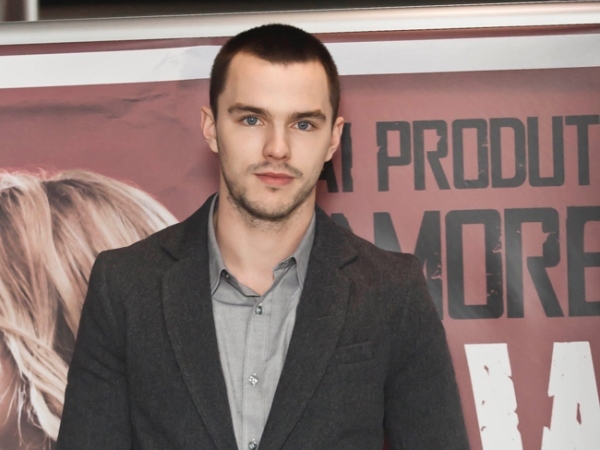 Nicholas Hoult is very proud of Jennifer Lawrence's achievements. The 24-year-old British actor, who rekindled his relationship with the Oscar-winning actress (23) in July after splitting up after two years together in January 2013, is thrilled that the 'American Hustle' star is continuing to take Hollywood by storm. Asked about his girlfriend, who won a Golden Globe for Best Supporting Actress last Sunday and is nominated for another Oscar, the 'Warm Bodies' star told People.com: "She deserves it all. It's fun to watch." Nicholas didn't attend the Screen Actor's Guild (SAG) Awards with the blonde beauty on Saturday, as he was promoting his new movie 'Young Ones,' directed by Gwyneth Paltrow's brother Jake Paltrow, at the Sundance Film Festival in Park City, Utah. He also stepped out to support Kristen Stewart, whom he is set to co-star alongside in the fantasy Equals, by attending the premiere of her new drama 'Camp X-Ray' on Friday. Jennifer also read the script for the upcoming movie but decided it wasn't for her. Nicholas said: "We both loved the script. It's epic in proportion, but centred on these specific relationships."